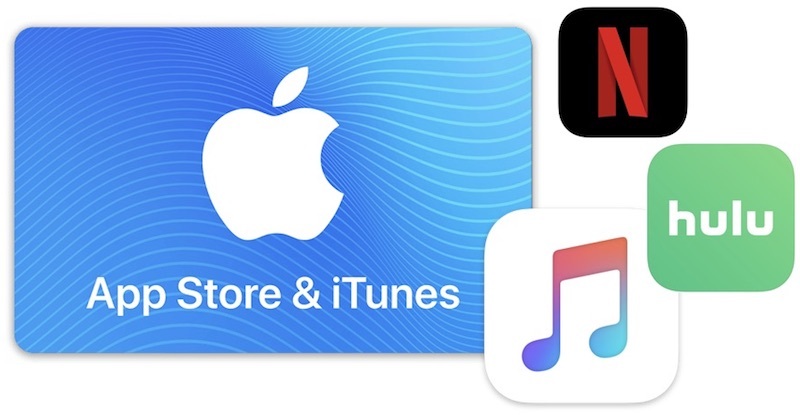 App Store and iTunes gift cards are perfect stocking stuffers and super simple for last-minute gift giving, so if you're on the hunt for a few of the gift cards this Black Friday we've rounded up the best sales in this article. For more details on the latest Black Friday shopping updates, be sure to visit our full Black Friday Roundup. Keep in mind these can be used to pay for subscriptions like Netflix, iCloud Storage, and so on. So if you have a few subscriptions and thus will eventually spend the money, these discounted cards are like cash back in your pocket. Question: Could a person by $1000 worth of cards for $800 and then use the card to purchase a $999 iPad Pro, the savings would be $199 or 20% off, is this possible? And you would have $1.00 left over to buy and App for the Pro? These cards are for iTunes and the App Store, not for the online Apple Store which sells hardware. So, no, you can't use these cards for something like an iPad Pro. Two $100 cards at Costco would be $158.98, seems better than Target's $170 to me.